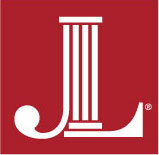 The Junior League of Birmingham Gift Shop is located inside JLB Headquarters (2212 20th Avenue South, 35223). Proceeds from the JLB Gift Shop helps fund our community projects. Monday – Friday: 8 a.m. – 4 p.m. and on select evenings when a large JLB Meeting or Special Event is held. The JLB Gift Shop has a little something for everyone. You will find jewelry, scarves, baby items, frames, home and garden, fun kitchen items, bags and totes and so much more. We feature items from local artists, as well as your favorite brands: Two’s Company, Murval, Mudpie, Creative Co-Op and more. Need a cookbook? We have Tables of Content and Magic, as well as fabulous cookbooks from other Junior Leagues across the country. Ask us about our favorites! You can purchase a case of Tables of Content (6 cookbooks), in the JLB Gift Shop, for $75! This is a $105 discount off of retail! Individual Tables of Content are $15, which is a $15/book savings. Most of our gifts are priced at $30 or under. Gift wrapping and shipping are available. We also carry Community Dish entrees and dishes, which can be purchased during regular League business hours. Please Note: The JLB is currently evaluating the Community Dish fundraiser; therefore, we are not stocked with casseroles at this time. We will make an announcement when they are back in stock. Call JLB Headquarters at (205) 879-9861 to check on availability.